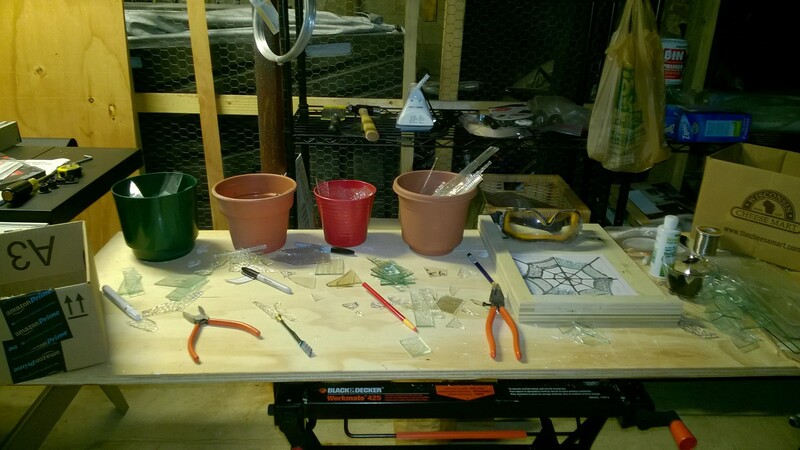 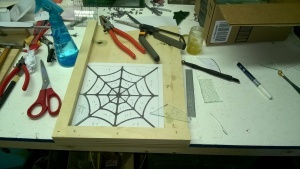 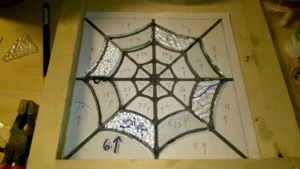 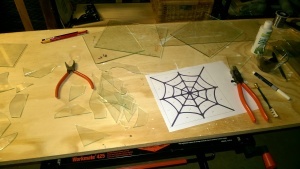 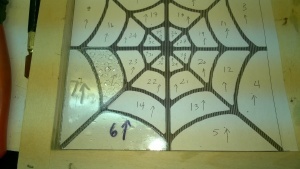 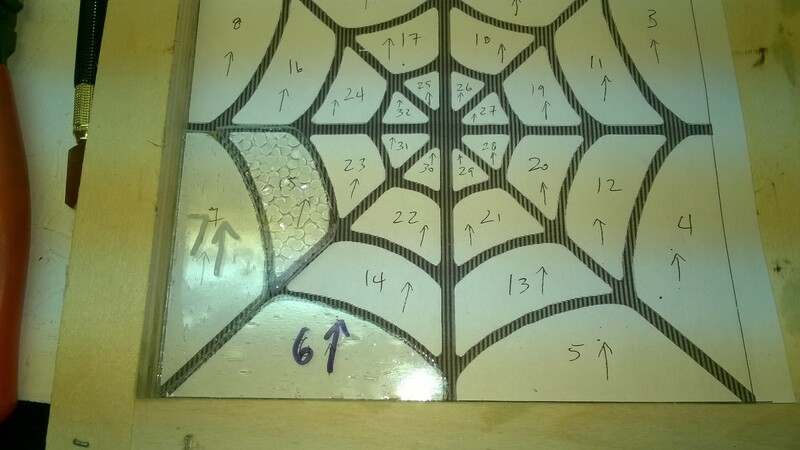 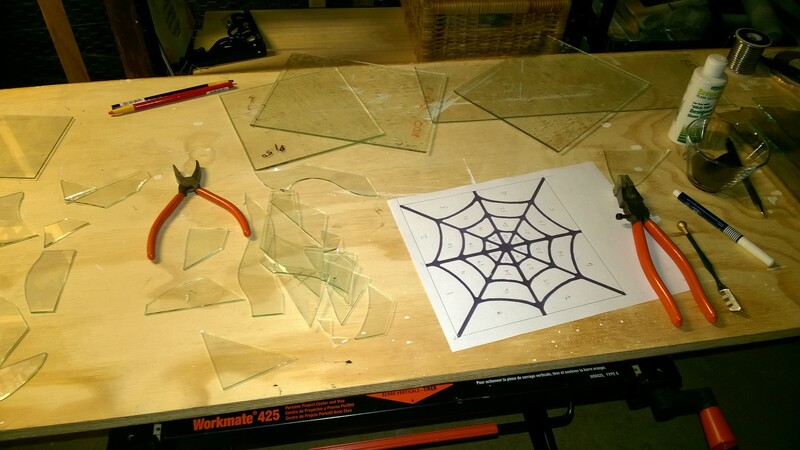 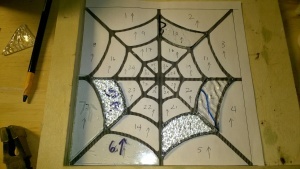 My first stained glass spider web will be made of clear practice glass. At least that’s the current plan. 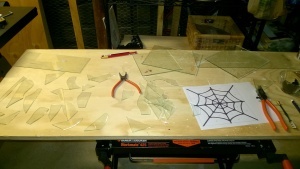 My next one will be made from clear patterned glass. 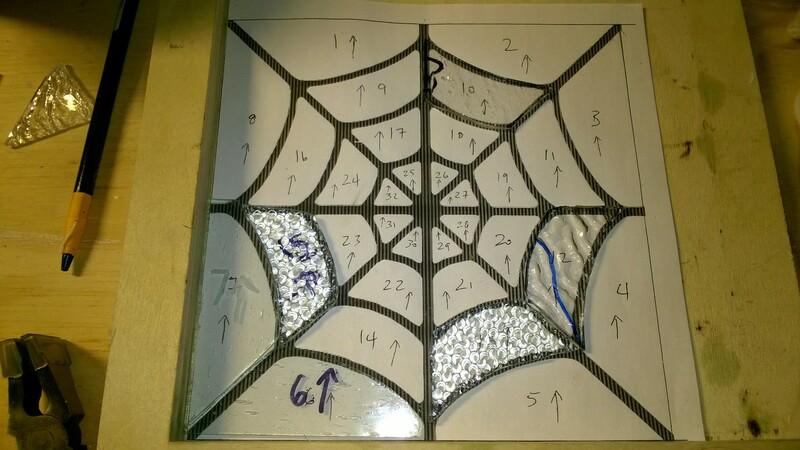 And then I’ll graduate to colors.